Fall is here - at least that’s what the golden brown leaves falling from the trees are indicating. 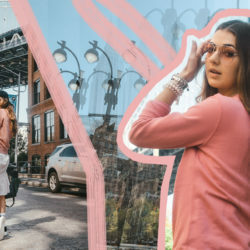 September is over and slowly but surely we have to accept, that instead of colorful summer dresses, we’ll be wearing knit sweaters and warm coats. As the month of October is arriving, the international fashion week has found an end. 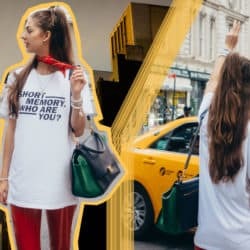 The fashion designers introduced us to their collections for the coming spring of 2018, hence we can at least mentally prepare for the sun by considering which cute pieces will be filling our closets next year – let’s be honest, some preparatory work never hurts. 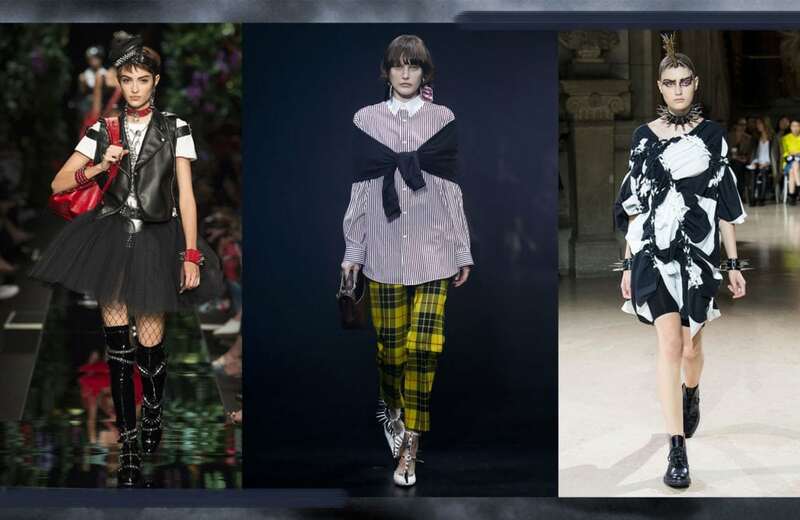 So here is a summary of the most relevant trends from London, Milan, Paris and New York. Asymmetry is exciting, but it also requires some level of courage. More and more fashion designers are trying to escape the classic norms of proportion and are creating new shapes. Rick Owens stunned the Paris audience with asymmetrically draped dresses in black and natural colors. David Koma made the asymmetrical style more suitable for everyday life with black leather skirts and Belgian fashion designer Ann Demeulemeester introduced an exciting version of the classic white silk blouse. Subcultures have always had a major impact on fashion. Especially grunge and punk elements reoccur in many designs. Just like this time: next spring we’ll be able to enjoy tartan and studded leather jackets once again. Punk chic might have been Demna Gvasalia guideline for his Balenciaga collection. Thus he combined the characteristic skintight Balenciaga over-the-knee-boots with kilts and spiky heels with tartan pants. Jeremy Scott however, created a more feminine collection for Moschino, by showing biker boots and leather jackets alongside tulle skirts and fishnet stockings. Junjya Watanabe’s models graced the catwalk with mohawks and studded necklaces. Once again, the 90s are back! 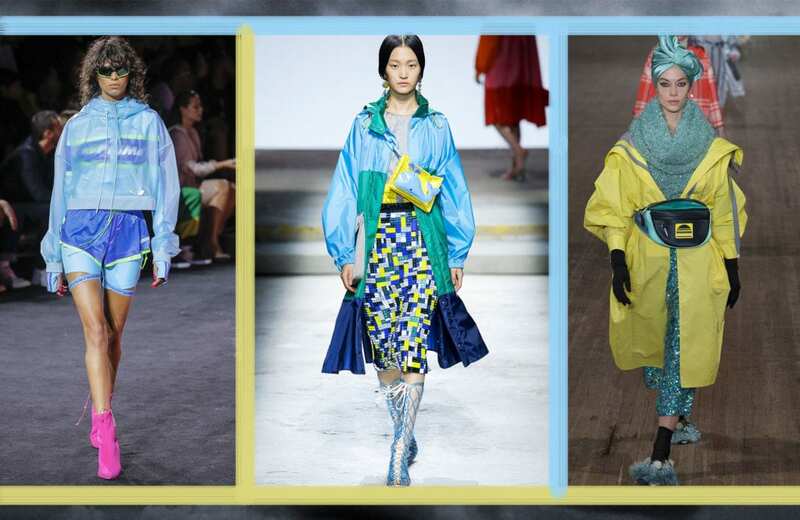 This time, they show themselves in form of nylon anoraks and oversized raincoats. The length may vary, as long as they are as colorful as possible. While Rihanna opted for short and athletic windcheaters for her Fenty x Puma show in New York, Marc Jacobs’ and Mary Kantrantzou’s rain coats couldn’t be more oversized. 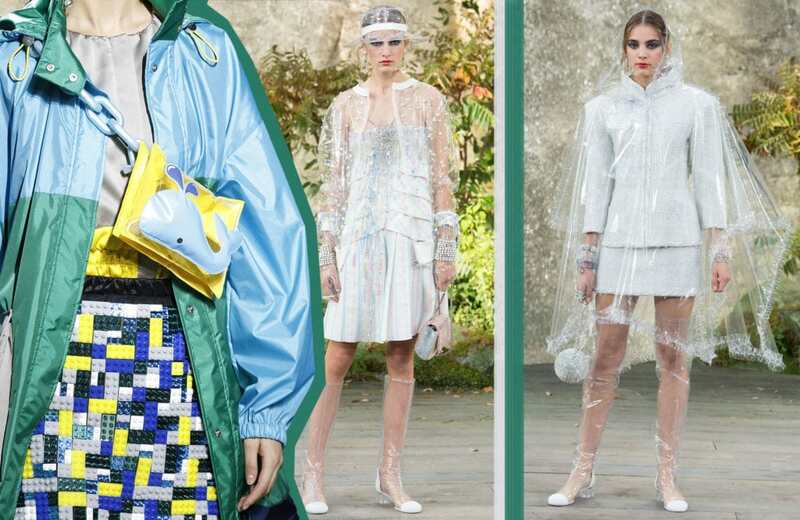 Chanel and its master Karl Lagerfeld dedicated a whole collection to the transparent PVC. And who would have thought that a rain poncho would look so chic combined with a Chanel costume underneath? Styled the right way these cool jackets are a definite fashion statement, that will keep us dry when it’s pouring outside – especially in April, the month that seems to have a mind of its own. As soon as we’ve survived the month of April, it’s yet again time to get excited about some warm sunbeams. And what happens when rain and sun meet? That’s right – a rainbow! Drawing inspiration from exactly that, fashion designers stunned us with a loud and proud colorscheme. The so-called rainbow stripes, as seen at Missoni in Milan were introduced in form of t-shirts and dresses, but also as head-to-toe looks. Rahul Msihra created a rainbow skirt, Emporio Armani translated the trend more subtle – thin colorful lines on fancy suits. Stay tuned, the trend report for the next spring season is going to be continued next Friday! 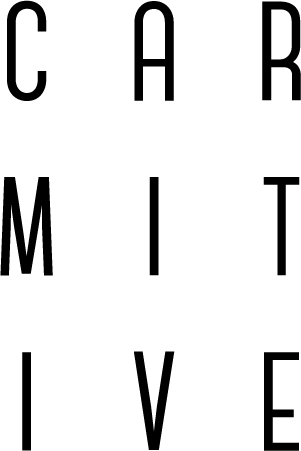 Posted in News and tagged Accessories, Fashion Week, Inspiration, LFW, Lifestyle, MFW, Musthaves, NYFW, PFW, Spring Summer 2018, SS18, Things to love, Tips. Bookmark the permalink. Thanks a lot, I really appreciate this!! SS18 is so colorful and i am loving it! Oh thanks a lot Jessi! So many great inspirations, especially the Rebellious Chic collection. Thank you so much! I love the Rebellious Chic Trend as well. WOW! Ein toller Beitrag und viele tolle Trends.